Recommend a grant to NCA through your donor-advised fund. Select your DAF administrator from the drop-down menu above. To learn more about donor-advised funds, click here. 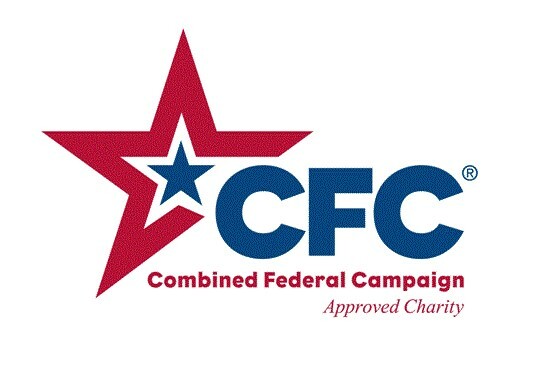 For federal employees and military personnel, donate to NCA through the CFC. NCA’s charity registration number is CFC #16219. 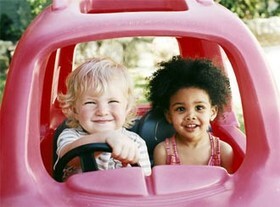 Donate your car or truck to NCA. A portion of the proceeds from purchases on AmazonSmile will go to support National Children’s Alliance. OJJDP – Has been a principal funding partner of NCA for more than 20 years. Through federal dollars authorized by the Victims of Crime Act, the US Department of Justice- Office of Juvenile Justice and Delinquency Prevention has supported NCA in providing a wide range of programs and services including; accreditation, training and technical assistance, community awareness and public education and funding to State Chapters and Children’s Advocacy Centers across the US. The Duke Endowment is working with NCA to implement the Child and Family Traumatic Stress Intervention (CFTSI) in CACs in the Carolinas. This project trains staff of select CACs in the Carolinas on CFTSI and supports CACs in implementing the intervention. The project provides mental health services to child abuse victims and non-offending caregivers, targeted to reducing trauma symptoms so that children can function better at home and got to school ready to learn. NCA and Ronald McDonald House Charities have collaborated to introduce Evidence-Based Mental Health Assessment for Abused Youth in Mississippi. This project will provide training to CAC staff and associated mental health professionals in the use of evidence-based mental health assessment to ensure that children receive care tailored to their specific needs. The American Legion Child Welfare Foundation and NCA have partnered to produce and disseminate a turn-key, informational and training resource on Recognizing and Responding to Youth with Sexual Behavior Problems. This project will provide CACs, child-serving agencies, child welfare professionals, and caregivers across the U.S. with the effective knowledge and tools to recognize and address Youth with Sexual Behavior Problems (YSBPs), and to advocate and implement YSBP-focused prevention evidenced-based treatment models in their own communities. The Ben and Lucy Ana Fund of The Walton Family Foundation has partnered with NCA to prepare a National Scan of Children’s Advocacy Centers. This study will provide valuable data, analysis and recommendations to assist both funding organizations and stakeholders working in the child abuse prevention and intervention space to identify the factors and characteristics affecting high-performing Children’s Advocacy Centers and network models across the US. NCA’s core membership consists of Child Advocacy Center’s (CAC), but we also have many organizational allies, stakeholders, collaborators, partners and individuals that are interested in supporting and sustaining the important work we do in empowering communities to respond to child abuse. Learn more about the benefits of becoming an NCA National Corporate Partner here.